Sixteen years later, Michael Suslov is a ghost of a man, an ex-government agent living off the radar—and the only soul alive who knows where Evita is buried. When an old friend from Argentine Military Intelligence appeals to him for help bringing the body home, Michael agrees, hoping this final mission will quiet the demons from his past. But he’s not the only one on a recovery mission: two rogue CIA agents are tracking him, desperate to unearth Evita before Michael does—and to claim the secret millions they believe she took to her grave. 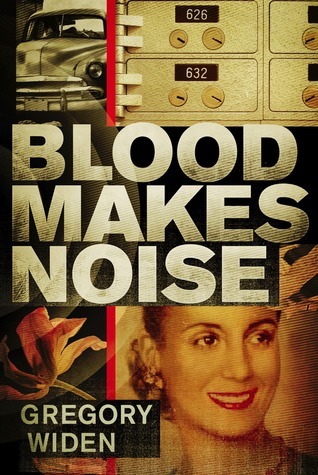 Based on a little-known yet fascinating true story, Blood Makes Noise is a brilliant examination of the power of the dead over the lives of the living. A native of Laguna Beach, California, Gregory Widen is a former firefighter, NPR station host, and mountain-rescue team member. While a film student at UCLA, he penned the script for what would become the movie Highlander, starring Sean Connery. Among his other screenplays are Backdraft and The Prophecy, and his television writing includes scripts for Tales from the Crypt and Rescue 77. A committed traveler, his explorations have taken him to war-torn Somalia, Uzbekistan, Namibia, the summit of Mount Kilimanjaro, the arctic island of Svalbard, Indonesia, and Argentina. He lives in Los Angeles, where he is at work on a film for Universal Pictures. PLEASE WELCOME GREGORY TO BOOKHOUNDS! A sci-fi short story collection my father had called "Orbit-5"
"Unbroken" by Laura Hillenbrand. Astonishing. Mostly trees, over 30 I planted, at my house here in LA. Though I have a small herb garden. I find trees seem to like me more. People who speak baby-talk to adults, the idea of knee injuries, the terrifying overuse of the word "gratitude" as a single-word statement, my dog running in front of cars on a daily basis, bad breaker panel wiring (I'm an ex fireman), the way the word "irony" has become, in normal usage, synonymous with "coincidence". Thank you so much for having such a generous giveaway! !